1 million+: Restaurant locations in the United States. 14.7 million: Restaurant industry employees. 1.6 million: New restaurant jobs created by the year 2027. 10%: Restaurant workforce as part of the overall U.S. workforce. 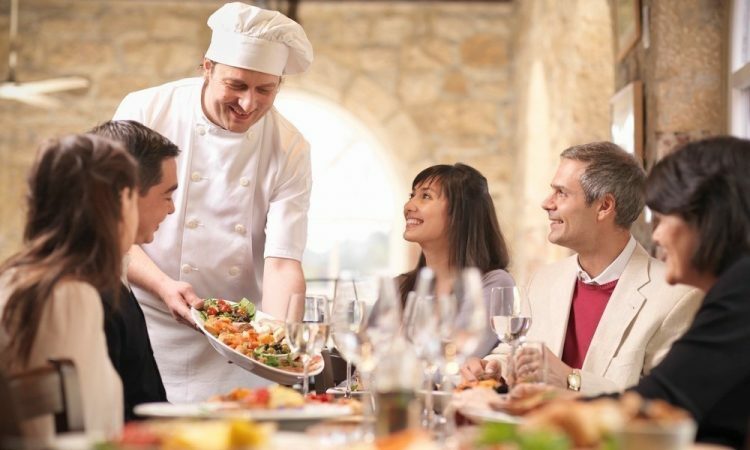 9 in 10: Restaurant managers who started at entry level. 8 in 10: Restaurant owners who started their industry careers in entry-level positions. 9 in 10: Restaurants with fewer than 50 employees. 7 in 10: Restaurants that are single-unit operations. Know someone who’s interested in starting a restaurant? Refer them to these helpful FAQs about starting a restaurant from the money section of About.com. Then get them the restaurant insurance coverage they need to get started. We have the wholesale restaurant and bar insurance markets you need to do just that. Up to $5M annual sales at each location. Hoods, ducts, grease filters, and surface cooking equipment, including deep fat fryers, must be protected by a UL listed automatic fire extinguishing system. Business income and extra expense. Spoilage coverage automatically provided for $5,000. Restaurant Equipment that is permanently installed is included in the building limit. For tenant occupancy, it should be separately listed as restaurant equipment. Have a quick question?Chat with us online HERE now.